Years ago, it was nearly impossible to find the perfect home and make an offer without having a real estate agent. Now, it is extremely simple to look up or list a property on sites like Redfin. It seems like there are dozens of websites that can be used to market your home. If you are able to market a property yourself, then why should you hire a real estate agent? While technology has certainly changed, a real estate agent is still the best way to buy or sell your home. A real estate agent adds value by helping you get a higher price. They know the value of homes in your area, so they are able to tell if a deal is as great as it seems.1 From years of experience in the industry to providing a hands-on approach, your real estate agent can make sure that your next property deal is a breeze. There is a very understandable reason why people pay real estate agents to buy and sell homes. No matter how simple the transaction seems, selling real estate is hard work. Your agent starts by helping you market your home as aggressively as possible. This process begins by helping you stage the home, so it looks amazing. Next, the agent creates a listing with professional-quality images. When prospective buyers are interested in the home, the agent vets each buyer, so only the serious prospects reach the next stage. The agent hosts open houses, meets with prospective buyers, arranges marketing brochures, and puts your listing online. All this work takes time, and no one has even made an offer on your property yet. It takes an estimated four months to sell a home right now. In slower cities, it takes about six months.2 Do you really want to spend the next four to six months of your life learning about real estate lingo, marketing tools, and legal regulations? With a real estate agent, you get hands-on attention and the support you need to buy or sell a home. From creating a listing to vetting buyers, this hands-on approach makes your real estate experience easier and more effective. Hopefully, you will only have to buy or sell a home a few times in your lifetime. 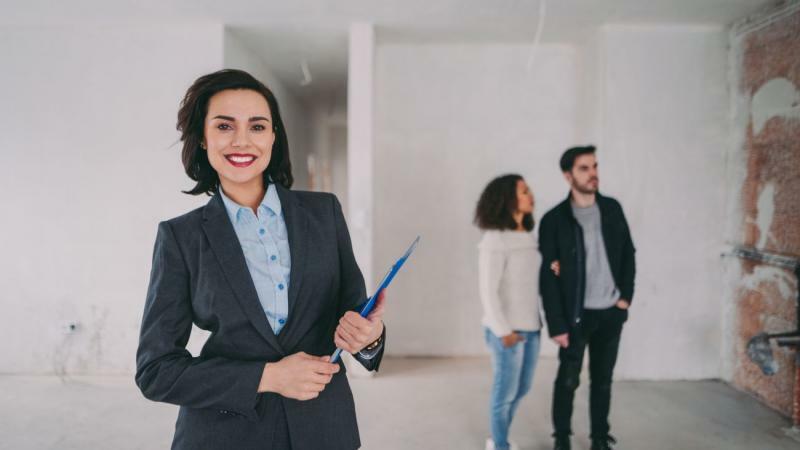 If you are like most people, then you probably do not have a lot of experience in buying and selling real estate properties.3 Thankfully, your real estate agent has a long background in the industry. They also have experience working in your local marketplace. Each day, the market for homes shifts slightly. The agent’s job is to stay ahead of these changes. They know all the latest information about comparable homes, so they can estimate how much your home is worth and how long it will take to sell. Your real estate agent has experience in handling paperwork, negotiating counter-offers, and dealing with legal requirements. You could try researching all this information on your own, but it is much easier to leave these tasks to the experts. After years of negotiating real estate deals, your agent is a professional at getting the best deal possible.4 As an involved buyer or seller, it is hard to get any emotional distance from the deal. Since the real estate agent is not personally buying or selling the home, they can relax and gain perspective on the transaction. This emotional separation and the agent’s skills give them the ability to negotiate better than the average person. This is another area where having a real estate agent can really help you out. In the 1970s, a purchase agreement was a simple page of text. Now, these agreements are at least 10 pages long. Plus, there are other state and federal disclosures included in the real estate file. By the end of the transaction, you end up with several inches of paperwork. If you made a single mistake in any of the documents, you could end up spending thousands in court. Even the smoothest real estate transaction will require paperwork. When you work with a real estate agent, your agent takes care of all the documents. They have professional experience in dealing with these disclosures, so they know exactly what to do, how to do it, and when to turn it in. If you have a question after the transaction has already closed, you can always call your agent to get everything straightened out. Your real estate agent knows what the market conditions are like when you go to sell or buy a home. They can disclose data about the average price per square foot for similar homes and the average days on the market. Your agent can tell you the ratio of list-to-sold prices, medial sales prices, and more. All this data will inform your buying or selling decision. Your real estate agent is a vital source of information. Over many years, they have developed experience handling paperwork, marketing homes, negotiating offers and finding buyers. While it is possible to list a home on your own, it is impossible to recreate the agent’s experience through a listing site.